Question: Can we predict the diabetes status of a patient given their health measurements? Classification Accuracy: Overall, how often is the classifier correct? Classification Error: Overall, how often is the classifier incorrect? Also known as "Misclassification Rate"
Sensitivity: When the actual value is positive, how often is the prediction correct? How "sensitive" is the classifier to detecting positive instances? Also known as "True Positive Rate" or "Recall"
Specificity: When the actual value is negative, how often is the prediction correct? 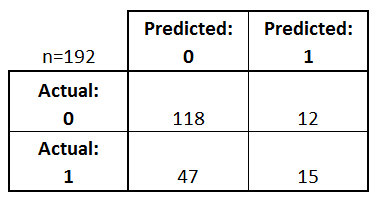 How "specific" (or "selective") is the classifier in predicting positive instances? 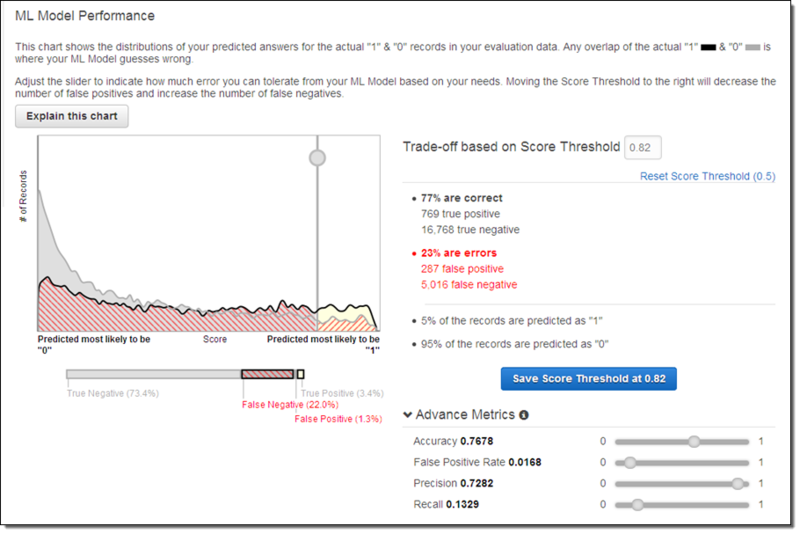 False Positive Rate: When the actual value is negative, how often is the prediction incorrect? 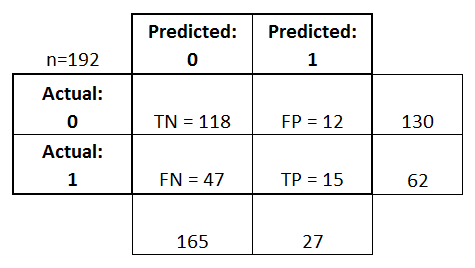 How "precise" is the classifier when predicting positive instances? Many other metrics can be computed: F1 score, Matthews correlation coefficient, etc. Which metrics should you focus on? Question: Wouldn't it be nice if we could see how sensitivity and specificity are affected by various thresholds, without actually changing the threshold? Answer: Plot the ROC curve.